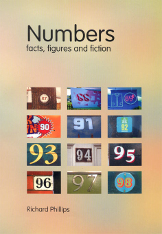 ... and for similar facts about other numbers see Numbers: Facts, Figures & Fiction. The sum of five powers of 2. The sum of three powers of 5. There are 31 letters in the Cyrillic (Russian) alphabet. Thirty-one is a betting game played with cards. In French the expression trente et un means someone who is well dressed. There are 31 days in most months. The month is a convenient way to measure time based on the interval from one full moon to the next. When measured accurately this is 29.53 days and because this is not an exact number of days, people have devised calendar months which vary in length in order to fit neatly into the calendar year. The Muslim calendar is closely based on the cycles of the moon. It has twelve months which alternate between 29 and 30 days in length, adding up to a year of 354 days. This results in a calendar which rotates around the seasons. The Jewish calendar also has months of 29 and 30 days, but by allowing either 12 or 13 months in the year, the seasons remain fixed. There are many other calendar systems. 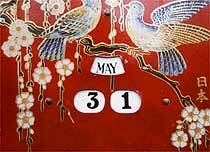 Our own Western calendar, based on the Roman calendar, has months which can be either 28, 29, 30 or 31 days. But in the leape you must adde one. They'd be just as wet and dirty. The interval of 29.53 days between full moons is called the synodic month. A sidereal month is the time for the moon to complete one orbit around the earth and equals 27.32 days. Copyright © Richard Phillips 1994/2003.